← No smoking. And they mean it! 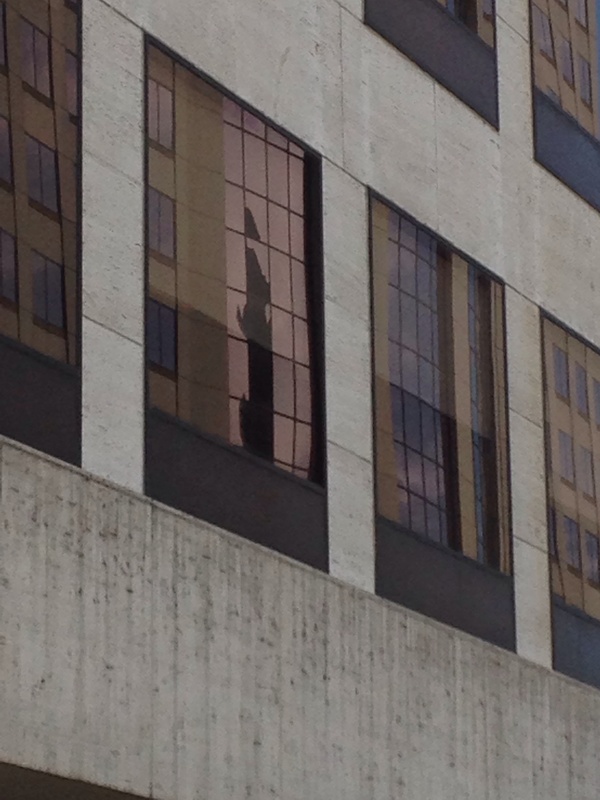 Twice removed – the reflection reflected, on the south side of State Street, at an angle from north and west, viewed from north and east. Once removed – the original reflection, looking north from Red Arrow Park. 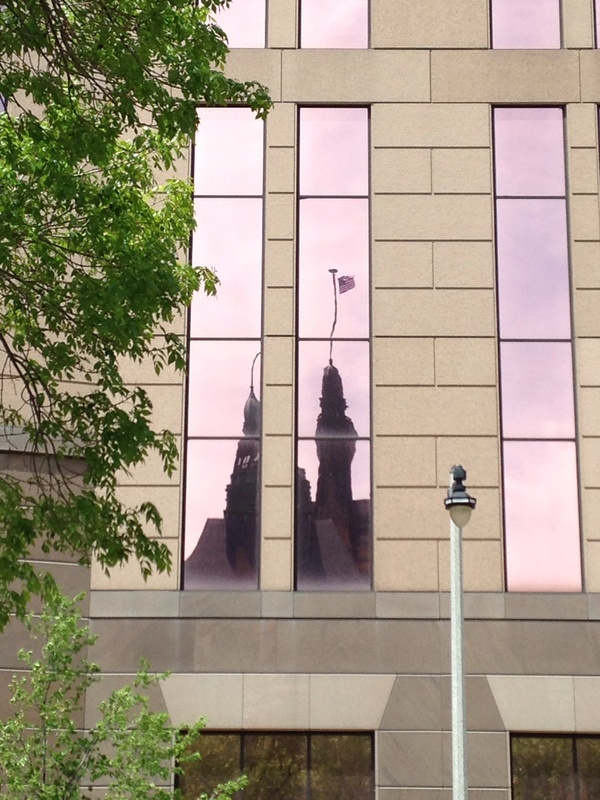 This entry was posted in Milwaukee, Photography and tagged Milwaukee City Hall, office building reflections. Bookmark the permalink.